Matt Harvey Day has extra significance on Friday in Jupiter. The New York Mets' ace will pitch against the St. Louis Cardinals on his 26th birthday. Terry Francona acknowledged it was unlikely that Nick Swisher would be ready for Opening Day. 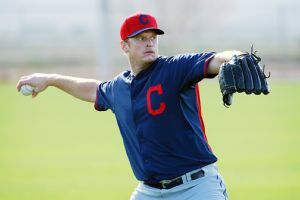 The Cleveland Indians lost their gamble on Gavin Floyd. 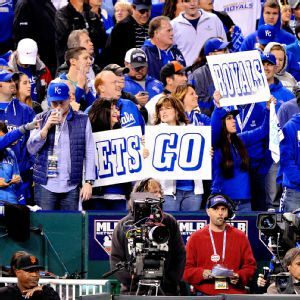 After taking a tough World Series loss to the Giants in seven games, the Royals have to confront an offseason with questions about whether they can repeat as AL champions, Jerry Crasnick writes. It is no accident the Chicago White Sox will have a significant amount of money to spend this offseason.The White Sox started clearing the books back in July 2013 when Jake Peavy was traded to the Boston Red Sox. 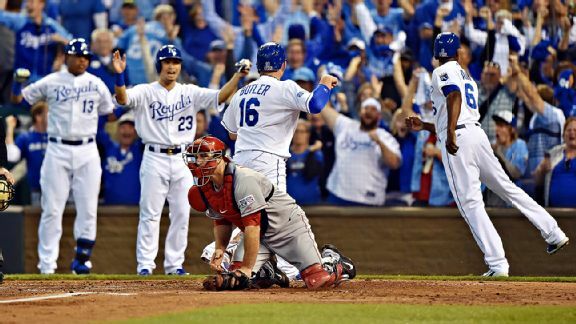 After a weekend of amazing baseball drama, the Royals' series-clinching victory over the Angels was anticlimactic for everyone except Royals fans, as the Royals took a 3-1 lead in the first inning and pounded out an 8-3 victory. 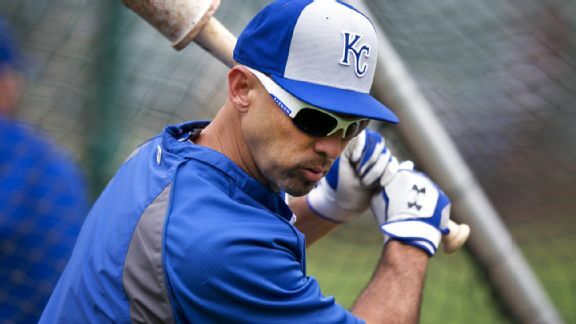 Raul Ibanez has been left off the Kansas City Royals' 25-man roster for the AL Division Series. CHICAGO  After nearly five months of a trying ordeal, things might only be getting tougher for the Chicago White Soxs bullpen.The group is toward the bottom of the American League in ERA (4. The Chicago White Sox designated veteran reliever Scott Downs for assignment on Thursday.The 38-year-old left-hander has a 6.08 ERA in 38 games this season. RISING Adam Eaton, center field: The leadoff man appears to have his legs under him again after last month's trip to the DL with hamstring issues. The left-handed hitter is batting .